Inside: You can homeschool language arts without a curriculum, especially during the elementary years. Here are 5 simple ideas to get you started! 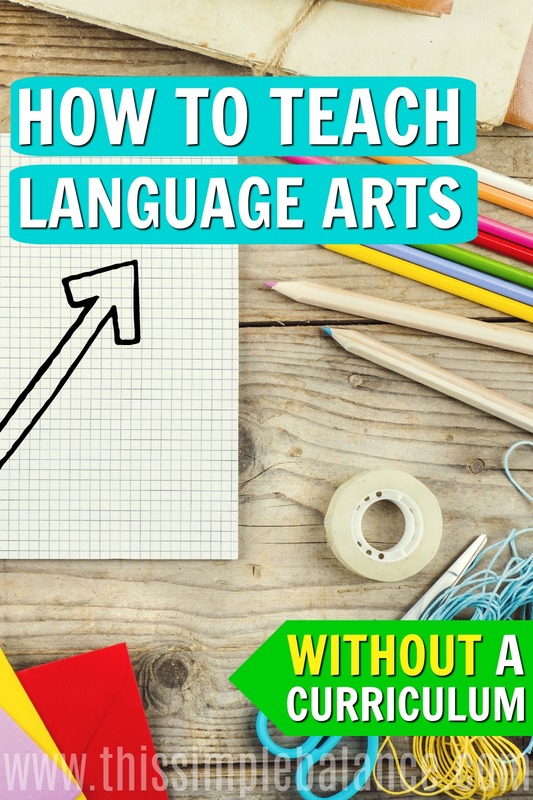 You don’t need an expensive curriculum to teach Language Arts in your homeschool. When I first started homeschooling, I was so tempted to purchase a curriculum called All About Reading and All About Spelling to teach Language Arts. Each level cost more than $160 combined! With four levels each (this didn’t even include handwriting or writing! ), I would have spent more than $600, and that’s just for one kid. As we’ve settled into relaxed homeschooling as our primary style, I’ve found several natural ways to incorporate learning into our daily lives. Learning can be so much fun, especially at the elementary school level. Why choose boring and tedious curriculum, when you can accomplish the same goals with simple, natural and fun methods? I may eventually discover that one of my children has a learning disability, at which point I will reconsider programs with all the bells and whistles (and dollar signs). For now, I’ve learned that most kids don’t need much to learn to read and write their native language, as long as they see it as valuable. 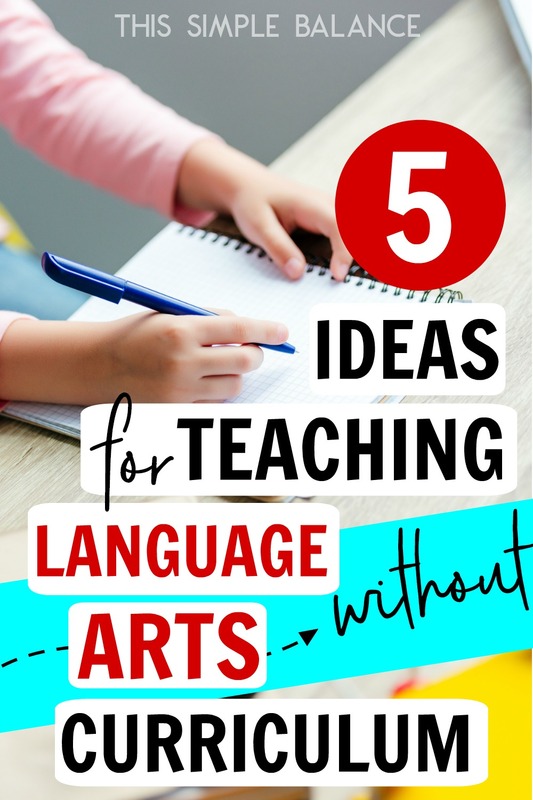 Here are five ways we “teach” Language Arts in our homeschool (I use “teach” because we do most of this in the context of daily life). I love gameschooling! I follow My Little Poppies to keep up with the newest educational games, but sometimes the oldest and most basic ones will do. Scrabble can be modified depending on the age of the players. With young children, everyone can play with their tiles on the table, and it becomes a joint effort to “see” words in each person’s unique mix. Play can become more competitive with older children, and a dictionary helps with word ideas. If you don’t yet own a copy, you can purchase one here. It’s a classic! For reading, I originally considered books like Teach Your Child to Read in 100 Easy Lessons and The Ordinary Parent’s Guide to Teaching Reading. But when I looked at these options, I found them dry and pretty boring myself. If they bored me to tears, my kids would surely hate them. Learning to read should be fun! These treasures came in a used Sonlight curriculum I purchased last summer. As soon as I looked inside, I was in love. This was what I was looking for: simple, gradual, and fun. You simply review and sound out a phonics-based vocabulary list, and then read the corresponding story that includes the learned words (sight words are taught in a box at the bottom of the story). The stories are well-written and often hilarious! My oldest learned basic reading at a homeschool co-op a couple years ago and took off without my help. My son who is just over 5 years old is working his way through these books in spurts, although he has learned many words just through hearing books read aloud daily with me and his older sister. Keep in mind that when you purchase them (you can do so here), you at least need I Can Read It! Book 1 and I Can Read It! Word List to start. Wipe Clean Handwriting Books are a fantastic investment, especially if you have multiple kids. Using dry erase markers (we purchased these for older kids and these thicker markers work better for younger kids), kids can practice both tracing each letter and then writing it on the given line. They are inexpensive to begin with and can then be used over and over again. Click here to see more Wipe Clean Books, including a numbers and cursive version. I found Bravewriter while searching for alternatives to formal language arts curriculum that were far too rigid for me. 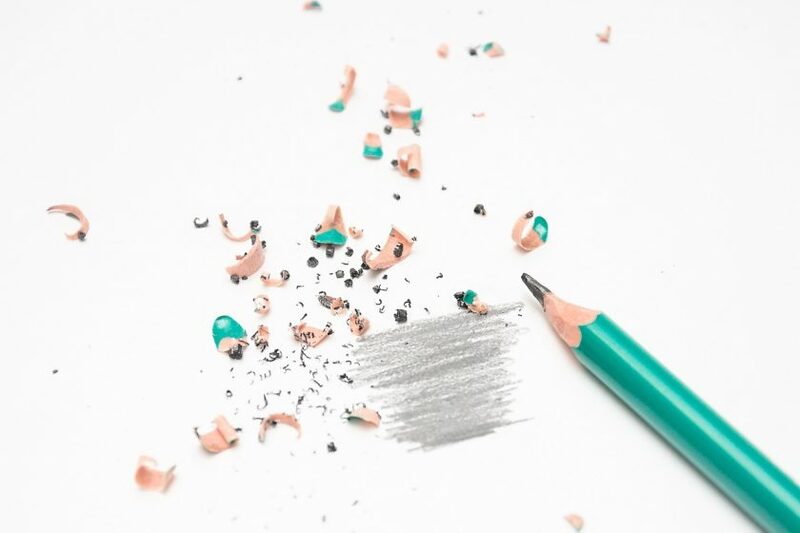 Bravewriter focuses on teaching writing through creating a language-rich environment in the home, and early writing is learned as a natural part of daily life. Who doesn’t use lists daily? My daughter writes lists constantly: Christmas wish lists, to-do lists, birthday ideas’ lists, what we will get when we’re rich lists (this one was purely original – ha!). She also loves to write her own stories and is currently working on a series. For this project, I serve as her scribe, so her ideas can flow unhindered by her ability to use correct grammar, spelling, and punctuation, which is not at the same level as her creativity. She dictates; I type. She already calls herself an author and wants to publish her books so other kids can read them. Finally, we are keeping alive the dying art of snail mail. Both my 7 year old and 5 year old love to write letters to friends and family. We purchased basic blank greeting cards like these ones, but basic lined paper will also do. Do you remember Mad Libs? This game is a fun way to learn parts of speech. Our kids love coming up with words and reading the hilarious stories afterwards! You can purchase traditional paper books here or download one of several app versions of the game. We got this free ipad app, but there are inexpensive versions with more story variations. Kids are smart. If they see that something is valuable, they will naturally be motivated to learn. Show them what they can use reading and writing for, and just wait – they’ll be begging to do both without any prompting from you. Don’t forget to check out all that BraveWriter has to offer!